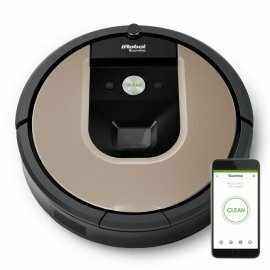 Smart - iAdapt 2.0 Navigation with Visual Localization helps Roomba seamlessly and efficiently navigate an entire level of your home, rechargin as needed until the job is done. Simple - The iRobot HOME App lets you Clean and Schedule conveniently- anytime, anywhere. Or just press CLEAN on the robot. Clean - The AeroForce 3-stage Cleaning system provides up to 5x the air power with the Gen 2 motor for lower maintenance and improved cleaning performance on carpets, rugs, and hard floors. All Roomba vacuuming robots help you keep up with everyday mess. iAdapt 2.0 Navigation with Visual Localization enables Roomba to clean an entire level of your home. Recharges and resumes cleaning until the job is done. Navigates under furntiture and around clutter. Avoids stairs and other drop-offs. Connect to clean from anywhere. Preset to clean on a schedule, up to 7 x per week. Improved cleaning performance with lower maintenance. Up to 5x the air power. Automatically adjusts to clean carpets and hard floors. Sweeps wall edges and corners.